"And pilgrimage to the House is a duty unto Allah incumbent upon those who have the ability for it. As for him who disbelieves, [let him know that] Allah is independent of [all] creation." Qu'ran 3:97. 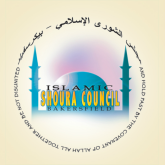 The Islamic Shoura Council of Bakersfield does not offer Hajj travel packages. However, if you are interested in making Hajj (especially for the first time), feel free to speak to either Imam in order to gain a better understanding of the religious requirements and the challenges presented by making the Hajj. The Imams may also be able to provide helpful recommendations regarding companies that provide Hajj travel packages.